A hundred million dollars here, another hundred million there, pretty soon it’s real money… even in Washington D.C. The quote above is from an article in the Wall Street Journal earlier this week in which Obama Tells Cabinet to Trim Spending. At the Justice Department, converting the publication of judicial forfeiture notices from newspapers to the Internet is expected to save $6.7 million over five years. The Veterans Affairs Department expects to save nearly $18 million by canceling or delaying 26 conferences. The Department of Agriculture expects to save $62 million over 15 years by combining 1,500 employees from seven locations into one. The Education Department, meanwhile, says it can save almost $7 million by having workers share computer printers with more of their colleagues. None of these sound like kaizen – truly creative breakthroughs in process innovation, but rather just cuts in obvious wastes – but they are first steps towards that. Just as you can’t really begin to organize your workplace for productivity before you have made it safe and done away with those things you do not need (the first steps of 5S), it may take a series of these “trim spending” exercises to get people’s eyes focused on waste within government. In fact sometimes it takes cuts like the $7 million from shared printers and computers to “put the squeeze” on temporarily to get people thinking about whether they really need to print or copy something. Then creative thinking can begin. Going to the ocean is always a humbling experience. What we call the ocean is not one thing but an unbelievably complex world within a world. There is a vast amount of water. We don’t yet fully understand the variety of life forms within the ocean. We don’t understand how Hot Pools, El Nino and other oceanic effects have on weather and climate. The corrosive power of salt and the bleaching power of the sun remind us of impermanence. The ceaseless going and coming of tides teach us about persistence. The uncountable grains of sand on the beach boggle the mind. 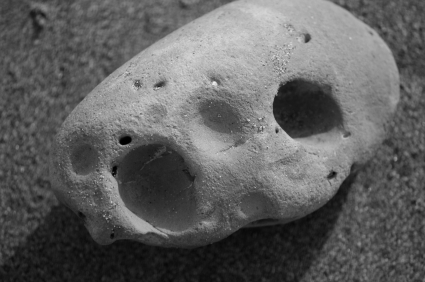 There are also stones on the beach who can testify to the power of the continuous drop of water. What’s $572 billion? It’s nothing more than a bunch of pennies, and countable at that. Our leaders just need to start setting the example by picking them up, one penny at a time. This is a new habit that will take practice, learning by dong. Where will they find these millions or billions of pennies? Well, they can by taking a field trip to the beach. 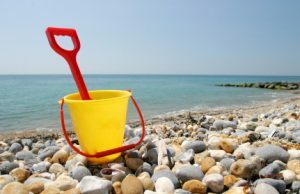 There’s plenty of sand to practice with, and in comparison picking up the big shiny pennies one by one will seem easy. This is really a great example of a leader leading a team. If you want to change the world you bring a change in your self. I think if each industry attacks on this small drops also than it will be a great help in this tough times. Great post. The devil is in the details, or as we used to say in the Navy – a small leak still can sink a big ship. Leadership? No way. I have worked for good leaders and am hopefully learning the real leadership way myself. Nothing from Team Obama smacks of anything remotely resembling leadership. A drop in the bucket? Good start, but Team Obama will set back and say “look, we’re leading the way, now do your part” instead of looking for the million other drops required to bring real change. Industry isn’t responsible for changing the world or for helping out in these “rough times.” Each company is responsible to itself and those who are surviving are doing so by putting as many drops into as many buckets as possible as quickly as possible. Leaders had better be seeking and finding the big, big drops as well as the mother lode levels of filling their buckets or all the small drops won’t amount to enough. 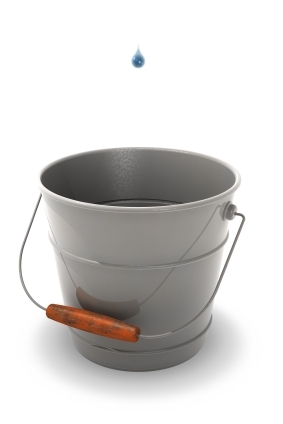 If leaders can’t figure out how to generate quick improvements on the order of 10 ~ 20 percent productivity improvement and less than 50 ppm quality levels then all the small drops in their buckets will not matter. 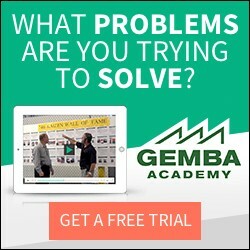 I heard Gary Convis, former President of Toyota Motors North American Mfg, say that the vast majority of the improvements they make start and finish with a good kaizen. It took me awhile to figure this out. It’s like picking up pennies. At Toyota they have the habit of stopping to fix a problem. When they stop they do a 5 why. At each step of the process they identify countermeasures. Each countermeasure is a small improvement. Imagine how much improvement we could make if we just used the 5 whys. Oh! And please don’t get me wrong! I totally believe in persistence and sustainability – its the difficulty of bringing about change and how to rally “the troops” that I’m willing to hear about. I can imagine the collective force of a million/billion drops of water rushing at you from somewhere.